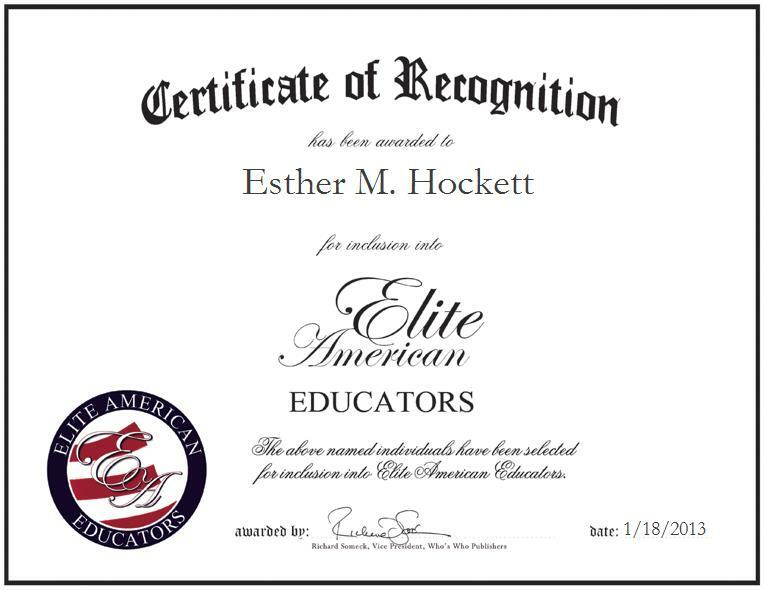 Esther M. Hockett is a Media Specialist at the Mount Juliet High School Library, a resource for books, media and online tools. In her role, Mrs. Hockett makes the most of her strong background in research, printing and non-printing services, the maintenance of encyclopedias, dictionaries and almanacs, as she meticulously manages media and teaches students to make use of the abundant array of library resources. Mrs. Hockett feels that she has been able to thrive professionally due to her strong work ethic, a passion for what she does and a growing love of each and every student she teaches, and the support she has received from her family over the years. At present, Mrs. Hockett pinpoints the most gratifying aspect of her career as seeing her students succeed.